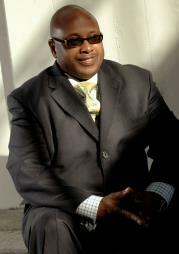 Jairation Joint Productions, LLC COO and Managing Partner is Derrick L. Wade. This entertainment executive's career spans more than 20 years. Derrick is an established entertainment executive, producer, and savvy businessman that has worked with a "Who's Who" of the entertainment industry. He has served as a music executive on countless music and film projects with major studios, music companies, and independent production companies. In January 2011, Mr. Wade launched out and joined forces with fellow industry veteran, Jai Anthony-Lewis Husband and founded Jairation Joint Productions LLC. Their inaugural feature-length production, Kasha and the Zulu King, is the first original animated broadcast movie for Black Entertainment Television, and winner of the 2013 NAACP Image Award for Outstanding Children's Program. With current projects in development featuring luminary talents such as Donnie McClurkin and Steve Harvey, the duo remains committed to authentically and creatively represent unsung stories with quality, and storytelling excellence. Mr. Wade is also the CEO of his own company, Pearl Entertainment Group/DLW & Associates an entertainment, and artist management company dedicated to creating, developing, and producing wholesome family entertainment. The flagship entity of Pearl Entertainment Group was its entertainment consulting division, DLW & Associates, which was launched in 1998. DLW & Associates has had corporate clients that include: Fox Searchlight Pictures, Gospo Centric Records, B-Rite Music, Lataillade Entertainment, Lilly Mack Publishing, Lighted Pathway Productions, TillyMann Music Group, Faithful Central Bible Church (Dr. Kenneth C. Ulmer) and Unyon Media Group. DLW & Associates roster of clients, past and present includes, actors, directors, entertainment executives, film and television producers, music producers, recording artists, songwriters, and writers. DLW & Associates has either represented, or has worked in one capacity or another with artists such as:, David Mann (“Mr. Brown”), Dorinda Clark-Cole, Karen Clark-Sheard, Kirk Franklin, Kurt Carr, LL Cool J, Loretta Devine, Mary Mary, Tamela Mann (“Cora”), Toni Braxton, and Vashawn Mitchell to name a few. Mr. Wade has had impressive tenures of employment at Warner Chappell Music, Spelling Entertainment, and Hanna-Barbera Cartoons earning him a reputation for creativity and leadership in a broad spectrum of areas. A resident of Los Angeles, California, Mr. Wade has served in a leadership capacity for several community-based organizations. He is a member of both, The Recording Academy and BMI. He has a Bachelor of Science in Organizational Leadership from Biola University, and is a proud alumnus of the Los Angeles County High School for The Arts where he majored in music.